Naugra is a leading automobile garage lab workshop machines manufacturers, suppliers & exporters from India. We offer economical range of automobile garage laboratory workshop equipments at affordable price. Clients satisfaction has always been our priority thats why we ensure to deliver quality automobile garage laboratory workshop instruments. Our automobile garage laboratory workshop machines are used in various engineering colleges, universities, vocational training centers, ITI training centers, testing & research labs, automobile garage, government organizations, industries. 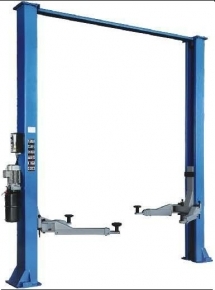 Our automobile garage lab workshop equipments are collision repair bench, hrecules 4.0 cf, hercules 4.0 hl, giga lift 3.0 s, giga lift 4.5 wa, fully hydraulic lift, hercules 3.0 em, titan 4.5 wa, hydraulic long floor jack, air hydraulic floor jack, hydraulic service jack, engine stand with gear box etc.